Emerson Watts didn't even want to go to the new SoHo Stark Megastore grand opening. But someone needed to look out for her sister, Frida, whose crush, British heartthrob Gabriel Luna, would be singing and signing autographs there-along with the newly appointed Face of Stark, teen supermodel sensation Nikki Howard. How was Em to know that disaster would strike, changing her-and life as she'd known it-forever? One bizarre accident later, and Em Watts, always the tomboy, never the party princess, is no longer herself. Literally. Now getting her best friend, Christopher, to notice that she's actually a girl is the least of Em's problems. But what Em's pretty sure she'll never be able to accept might just turn out to be the one thing that's going to make her dream come true . . . .
NIKKI HOWARD IS HERE TO STAY. Meg Cabot has done it again! What else can I possibly say? This is a fantastic start to a trilogy. I absolutely LOVED reading this. I am just amazed by her writing it's just fab fab fab. And that is no exaggeration. It is amazing. The summary pretty much says it all. With that killer plot it has to be enthralling and yes in real life brain transplanting is not possible (well at least that's what I've heard) but Cabot has given us possibilities and situations that girls would love to be in. Or would they? After reading this books your views may just change! There is definitely humour and how can there not be? Meg Cabot is just the queen of humour... and with humour there's love obviously. That's what I just love! Christopher! My heart just bleeds for him. so many exciting events happen. You have just got to pick up this book and read it. Scratch that. 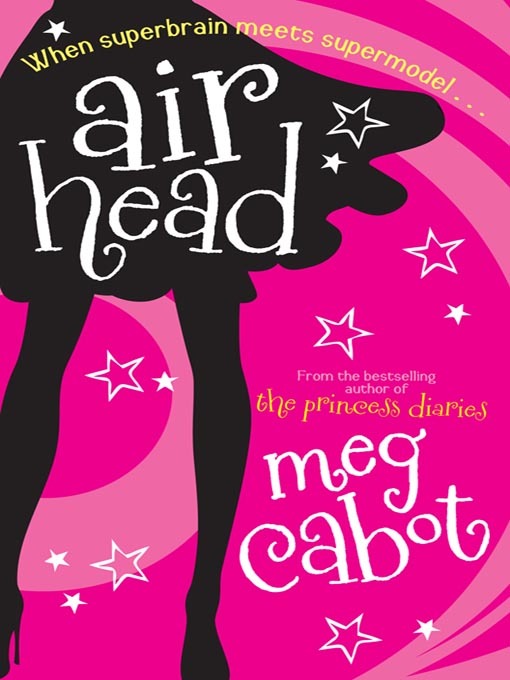 Read every book Meg Cabot has written. They're all pieces of art! Oh and did I mention that Christopher is HOT! HOT HOT HOT! I've been wanting to read this since I saw this one. Now after reading this review it makes me want to read it now! yay! Great review! I read this and really liked it. I'm glad you did too. I love Meg Cabot and I cannot wait to read this book. What a great review too! I have actually seen this book around and wondered if it would be any good. I will have to try it now, thanks to your review! I LOVE Meg Cabot, but I have never heard of this series. Thanks for introducing it to me. I've read one of her books before and I agree she is funny! I like your cover of Airhead, a lot better than the US cover. I loved this book!! Meg Cabot is fantastic and her books are amazing!